The Greenwood County Library System offers several different ways to access digital materials from home. You can access these material 24/7 through your home computer or mobile device. The library offers a wide range of digital library materials, including eBooks, eAudiobooks, music, and more! If you need help learning how to access these materials on your computer, eReader, or mobile device, the Reference Staff can help you! Stop by the Reference Desk or sign up for eReader Thursday. eReader Thursday is offered every other month, as a dedicated 1 hour appointment, for uninteruppted one-on-one assistance with eReaders/tablets, and the library's digital materials. Contact the Reference Staff at 941-4655 to learn more. Beginning Thursday, Nov. 1, 2018, Greenwood County Library System will have our own OverDrive collection. If you are using OverDrive on your computer, you will automatically be redirected to the new site. If you are a Libby or OverDrive app user, you will need to search for and sign in to the new Greenwood SC Digital Library. The collection provides access to eBook & eAudiobook titles. Recorded Books is the largest independent publisher of unabridged audiobooks narrated by professional, award-winning actors. RBdigital has eAudiobooks & eBooks titles. 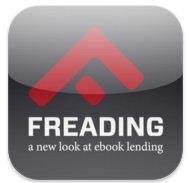 Freading is a collection of ebooks from small independent publishers. Titles are subject to change. 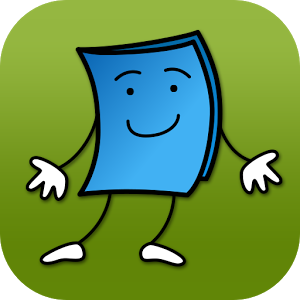 TumbleBooks contains fiction and nonfiction ebooks for kids. It also features a Language Learning area which contains books in French and Spanish. There are many more online resources for eBooks. The best known is Project Gutenberg, which holds over 40,000 free ebooks. While you won't find current titles from the New York Times' Best Sellers lists, these titles were published by bona fide publishers. They are in the U.S. public domain (copyrights have expired). Another option is the Internet Archive. The site archives text, film, music, software, and websites. Its text collection includes over 3,000,000 items. Open Library is a project of the Internet Archive. There are over 1,000,000 free ebook titles available to download and keep, and more to borrow. Nearly 30,000 books are available at ManyBooks.net. Beginning Thursday, Nov. 1, 2018, Greenwood County Library System will have our own OverDrive collection. If you are using OverDrive on your computer, you will automatically be redirected to the new site. If you are a Libby or OverDrive app user, you will need to search for and sign in to the new Greenwood SC Digital Library. Browse the latest issues of high quality digital versions of popular magazines, courtesy of the library! Enjoy issues of Cosmopolitan, Southern Living, Redbook. Ebony, Seventeen, Time, Sports Illustrated, and much more!. Flipster also includes kids magazines such as Ranger Rick, Boys Life, Ask, and others. Click on the link above to access the site. If prompted for a password, contact the Reference Desk at 864-941-4655. View the following Tutorials to learn how to use Flipster, If you have any questions, call the Reference Desk at 864-941-4655. Download up to three (3) songs per week from Freegal Music. They are yours to keep! Freegal Streaming: Now you can stream 3 hours of music a day! You can stream individual songs or albums, and you can create and save playlists.